Eman hold`s a master`s degree in electrical/ biomedical engineering, an undergraduate degree in electrical engineering. Eman has about 10 years of experience in the nuclear sector working with the regulatory body. 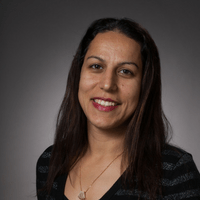 Eman is currently a Senior Project Officer with the Internal Quality Management Division at the CNSC where she leads the first CNSC Safety Oversight Culture assessment. In addition, she worked as a Technical Specialist with the System’s Engineering Division on Electrical Power Systems and prior to that with the Operational Engineering Assessment Division as a Technical Specialist.